Nothing gets us going in the morning more than great design. Well, perhaps a cup of coffee. Remember Chemex? Of course you do. The manual device was first invented in 1941. 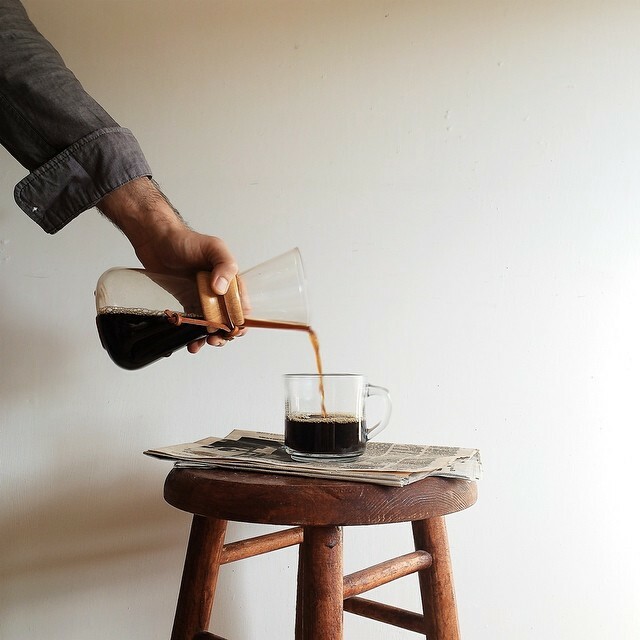 With its hourglass figure and minimal aesthetic, Chemex is changing pour-over coffee culture. The success of the design is simple: Chemex answered the call for great tasting morning juju. As a result, the product sold itself. That happened by addressing human need and creating demand. When David Kelley founded design giant IDEO, he challenged the status quo by focusing on human needs. Empathy fueled his line of thinking, catapulting mere thoughts into a full-fledged philosophy. “We moved from thinking of ourselves as designers to thinking of ourselves as design thinkers. We have a methodology that enables us to come up with a solution that nobody has before,” Kelley told Co.Design. That shift in thinking is what made IDEO famous. IDEO today prides itself in being “pioneers in human-centered design.” To the average consumer, design can seem like a mystery. One may ask, What is human-centered design? Current CEO of IDEO, Tim Brown, couldn’t have said it any better. When you place humans as the focal point of design, the goal changes. No longer are we as humans designing, but we are designing for humans. People. What is interesting about design thinking is its versatility and flexibility. This process is not restricted to only designers; engineers, analysts, and marketing gurus can use design thinking to spearhead business failures. The trick is getting bigger corporations to change from classic top-down methods to “bottom-up” processes. On one hand, top-down relies on past data to optimize growth. On the other, bottom up integrates individual elements into a bigger concept. The result? A more holistic approach less defined by metrics and much more open to outside variables. Here at Paradigm, we like to describe bottom-up thinking as the new move. Gone are the days when hard data ruled in finding holes in business. Bottom-up involves starting back at square one, the root of the problem. We take it way, way back when ideation is a bit hazy and vague. Think of it as taking an idea in the palm of your hand and dismembering that idea to shreds. We pick apart each piece, laying the elements on the table before us. We see each working piece as a piece to the puzzle, recognizing its place, value, and purpose in the vision. After gathering information, we put the puzzle back together, rendering a clearer picture. This meticulous thinking transforms crappy ideas into innovative solutions. After all, design is about making the world a better place, right? “Amazon did not kill the retail industry. They did it to themselves with bad customer service. Uber did not kill the taxi business. They did it to themselves with limiting the number of taxis and fare control. Apple did not kill the music industry. They did it to themselves by forcing people to buy full-length albums. Airbnb did not kill the hotel industry. The did it to themselves with limited availability and pricing options. Prioritize humans, period. The truth is real. Not only can we take away some serious insight from credible professionals, but we can adopt this attitude to our own practices. Design thinking is for everyone, created for only the best cause of all — humanity. It is less about creating something pretty than it is about creating something enduring. Design is about longevity; it is a game plan that will invent something beautiful for the world to use well and cherish, with high aspirations for long-term success. If you want to do good design, find a problem happening right now and fix it. Great design solves future problems for generations to come. On which side of the fence will you be? // The Catalyst is a pioneering publication sparking creative conversation in innovative design and consumer technology. Thoughts and opinions of PARADIGM |Innovation by Design; we are a global design firm creating impactful design solutions through innovative business strategy. Get inside our headspace here, here, and here. Have an idea? Drop us a line.